This year's flagship Motorola smartphones bear the Moto Z branding, foregoing the Moto X moniker from years past. However, this may not mean that the X line is dead at the now Lenovo-owned company. In fact, Motorola claimed the X series was "alive and well" back in June, and it looks like that may extend well into 2017. 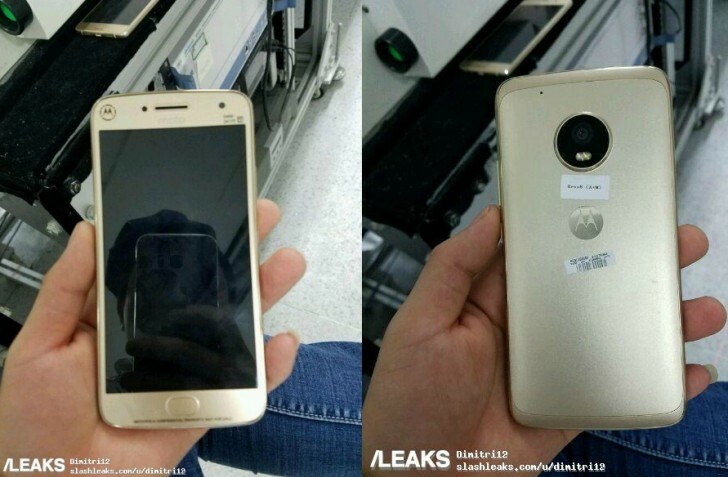 What you see in the leaked hands-on images below is alleged to be the Moto X (2017), a successor of sorts for the Moto X Style from last year. It's almost certainly going to be slotted in Motorola's portfolio right under the flagship Moto Z, so it's an upper-midrange handset. That said, no specs have leaked for it, so unfortunately we don't know anything about its innards just yet. What we can tell from the pictures is that it will (at least) come in gold, with a metal frame or a fully metallic construction (it's tough to tell which from these shots alone), a fingerprint scanner on the front, and a rear camera with a dual-LED flash. The main camera and flash are to be found in a round area that protrudes from the rest of the body and reminds us of the design of the Moto Z, but this phone has no pins on the lower side of its back for MotoMods to attach. Hence why it's clearly not going to be flagship-level, since Lenovo has confirmed that next year's top of the line Motos will support the modular accessory system too. Hopefully more information about the Moto X (2017) will be outed soon, so stay tuned for that.